I came across the Hondew/Opium issue by sheer chance. 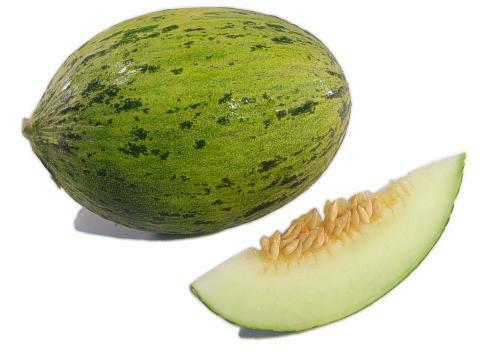 The Hondew is clearly purported as a honeydew, but it doesn't look like any kind melon; melons don't have spots. 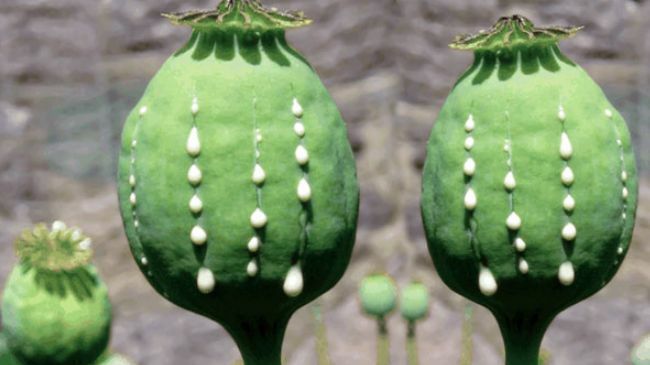 Ripe opium pods do have neat rows of blobs oozing out of them, and are green and upright like the Hondew berry image. They also have the effect of making the user 'weak but happy'. Some people may find the idea distasteful, but I didn't put it in there - I just noticed it. In a world where happy balloons try to drag children to hell and baby lizards wake up in the skeletal carcas of their mother, I don't think it's a stretch. 'Spotted Melons' really don't have spots, though, just splotchy lines of pigment. Compare this and  to the Hondew Berry, and then compare it to this, and on top of that the effect it has on Pokemon compared to the effect Opium has on humans, and I say there's definitely something with considering and mentioning. It also looks nothing like a real honeydew melon, it's not even the same shape. They're both green, but one's a featureless green sphere and the other is oblong with neatly-organized prominent protrusions. Either way I'm not saying Game Freak is trying to get kids on drugs, but EVERYthing in Pokemon is based on SOMEthing. This page was last edited on 31 January 2017, at 22:52.